WASHINGTON, DC--(Marketwired - Nov 17, 2017) - Stein Mitchell Cipollone Beato & Missner LLP (Stein Mitchell), a top-tier, Washington D.C.-based litigation law firm, announced today that renowned D.C. trial lawyer Bruce J. Klores has joined the firm as Of Counsel. A 30-year advocate for justice, Klores has won hundreds of millions of dollars in verdicts and settlements on behalf of his clients. As Of Counsel, he will work with the firm's Medical Malpractice & Serious Personal Injury, Healthcare Fraud, Professional Responsibility and Business Litigation attorneys. "Bruce is a prominent and well-respected lawyer, a leader in the profession and has repeatedly demonstrated that he obtains top results for clients. We are extremely pleased to have him join our firm," said Stein Mitchell Partner Denis Mitchell. "He is an invaluable addition to our team of attorneys and beneficial advocate for our clients." Previously, Klores was the founder of Bruce J. Klores & Associates, where for three decades he worked tirelessly on behalf of his clients in pursuit of justice. He is one of a handful of attorneys in the nation with a great depth of experience handling medical negligence claims on behalf of members of the military and their families. He obtained a $28 million dollar verdict for a military family in court. Klores has also procured numerous favorable results under the Military Claims Act, which does not allow for litigation. 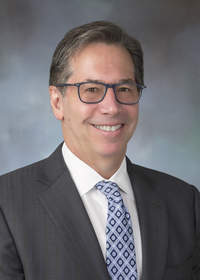 "I am a firm believer that reputations are earned by hard work, discipline and integrity and Stein Mitchell embodies those values," noted Klores. "I am looking forward to continuing to help those seeking winning litigation strategies and working with a firm committed to delivering innovative solutions and successful results for their clients." Klores is a fellow of the American College of Trial Lawyers and International Academy of Trial Lawyers, invitation-only organizations with membership limited to the top 1% of trial lawyers. He received his Juris Doctor from Catholic University, Columbus School of Law; and Bachelor of Arts from Brandeis University. Nationally recognized for its complex, high-stakes litigation counsel, Stein Mitchell has a 50-year history of efficiently delivering innovative solutions and successful results, providing maximum value for its individual clients and corporations. The firm has earned national prominence for providing respected and effective counsel to its clients in their most challenging, complex and significant legal matters. For more information, visit www.steinmitchell.com.